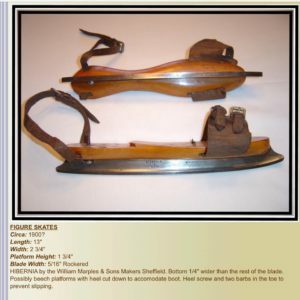 To the average person, the first thing they think of when they here the word Skate is winter time and Ice Skating. 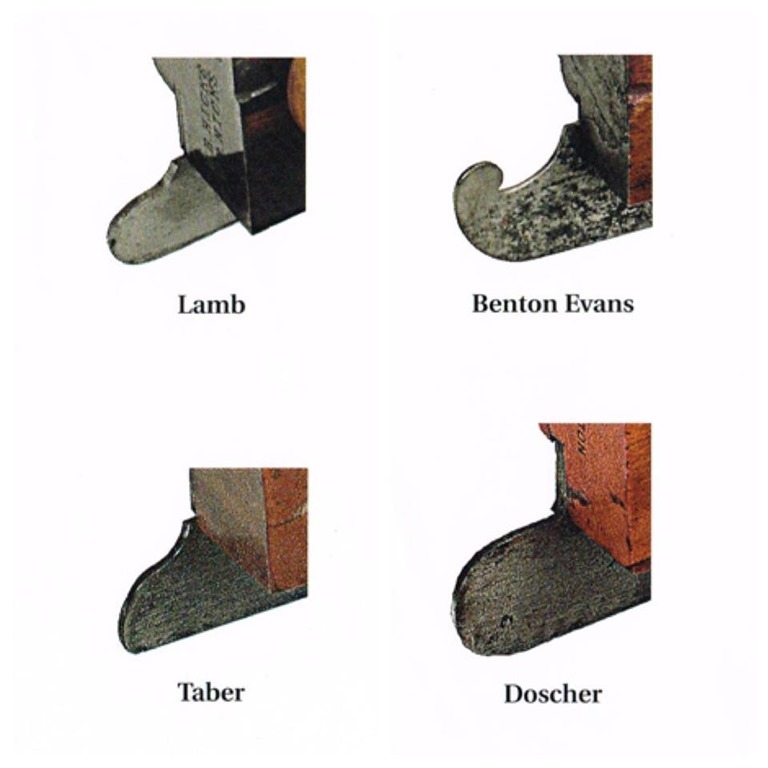 But to the carpenter and woodworker, they know it as a metal plate on the bottom of a Plow plane that rides in the groove made by a cutting iron or blade. Most Scottish Plow Planes , especially Mathieson, are called Flit Plows. The English Dictionary translates Flit as: to pass lightly and rapidly. It is called by various names. Sole, Keel, Skate or Plate. 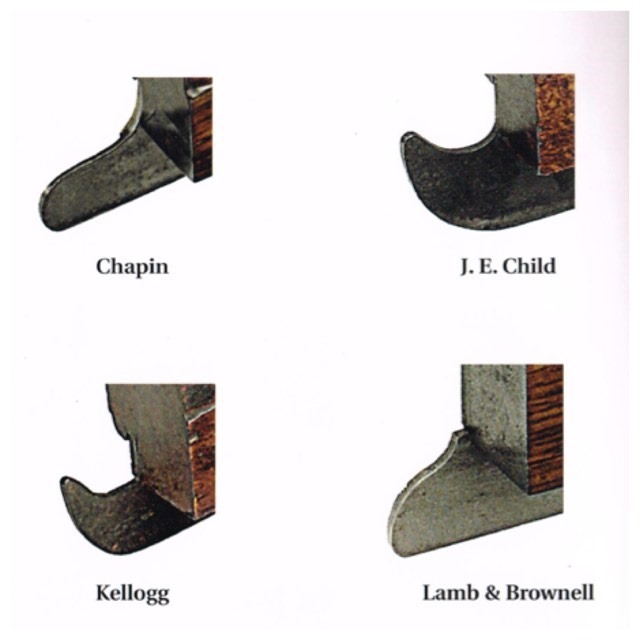 Some wooden Plow Planes and metal ones alike have a unique detail to the front plate that immediately catches the viewers eye. By extending the plate past the front body of the plane it’s upward curved helps to prevent digging in. 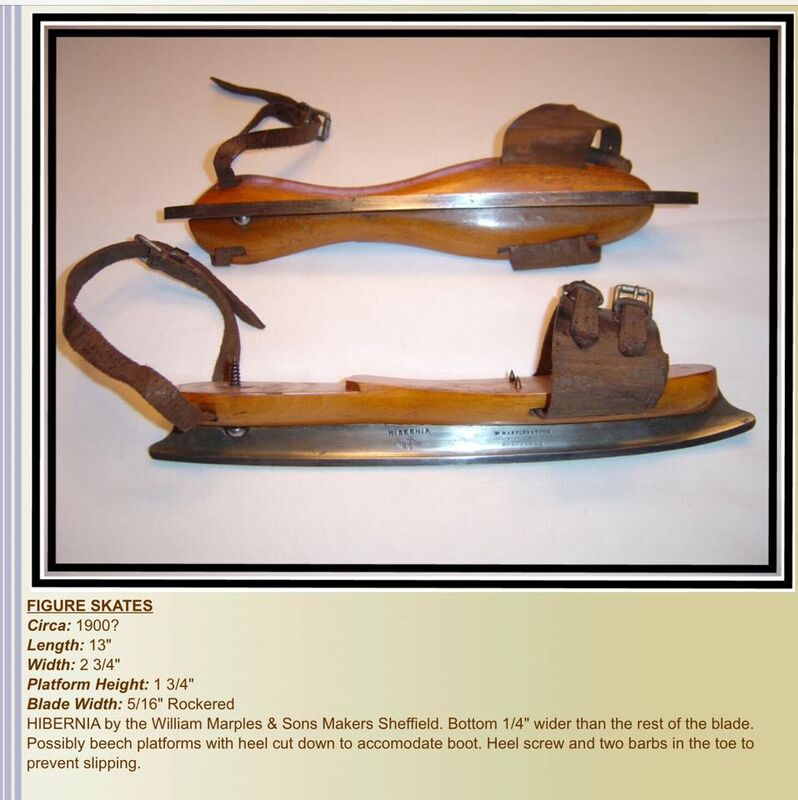 Similar to an Ice Skate with its upturned metal skate to prevent digging into the ice. 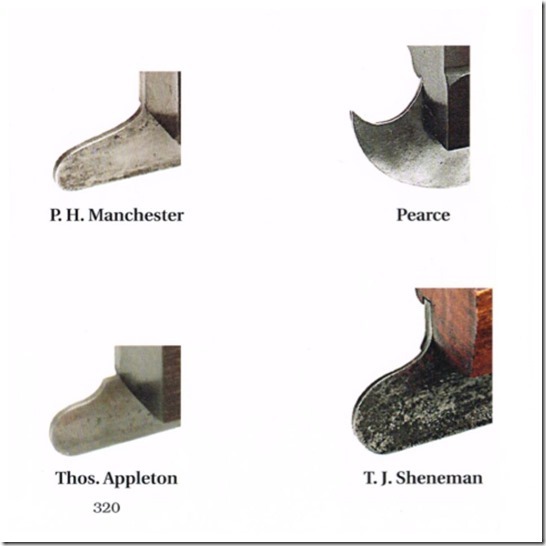 As a matter a fact several tool edge makers in the UK and some in the US manufactured Ice Skates as well as Plow Planes. 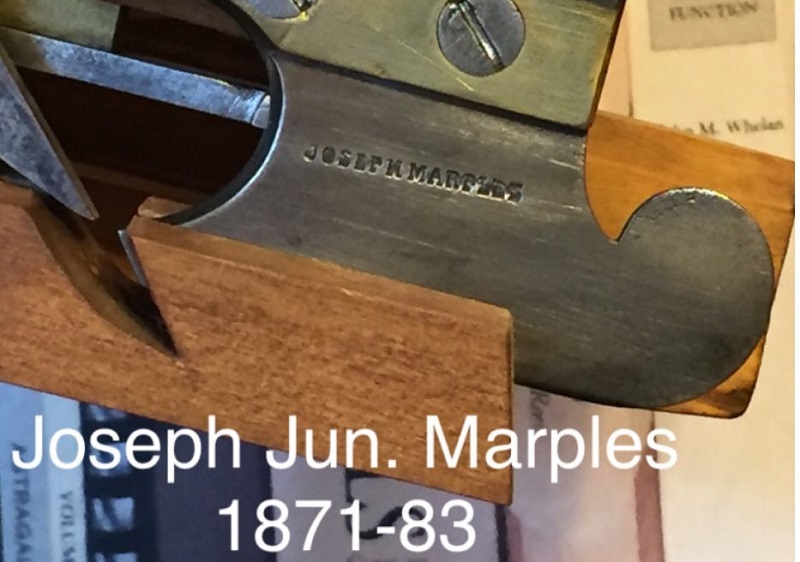 See Marple’s Ice Skate below and Marple’s Plow Plane above. 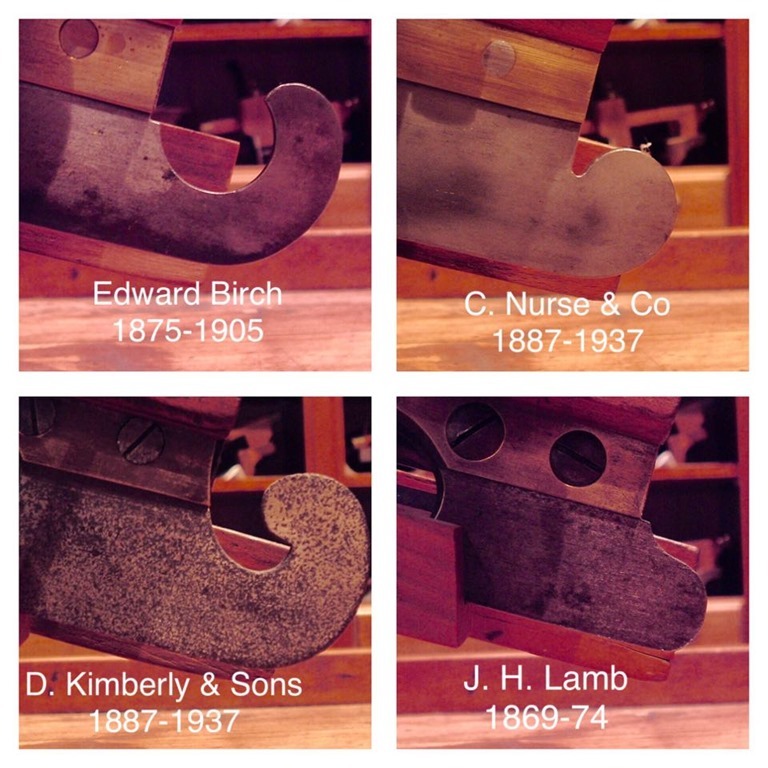 18th an 19th Century carpenters and cabinetmakers prized their Plow Planes above all their other tools. 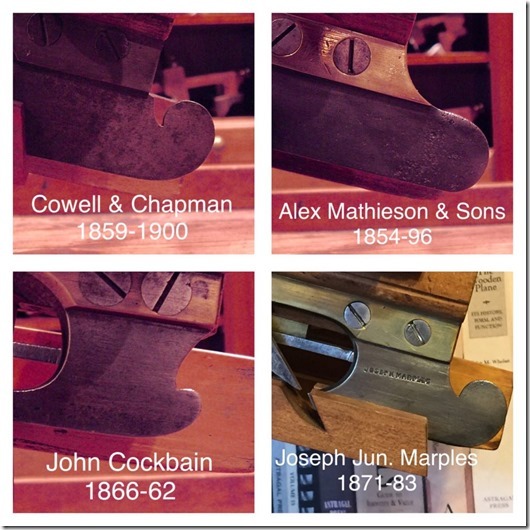 The most expensive in his joiner’s tool box, he treated his Plow well and was prized it for its beauty. 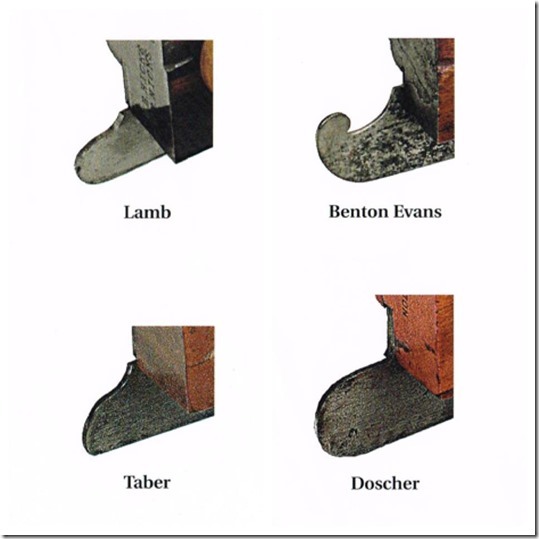 According to John A. Moody in his book “THE AMERICAN CABINETMAKER’S PLOW PLANE” he says paneled (grooved) joinery have been in use since around 1300 B. C. but nothing about Plows until 1500 A.D. 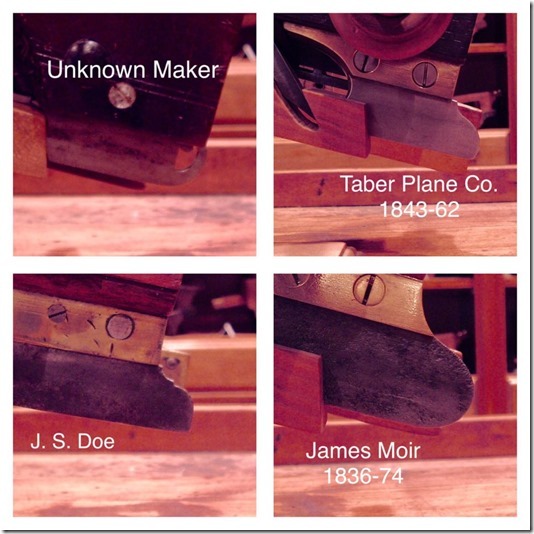 I have been collecting wooden planes for 35 years and my most valued ones are my 200 Plow planes. I would usually purchase a Plow Plane when I seen it if it had the extended plate. 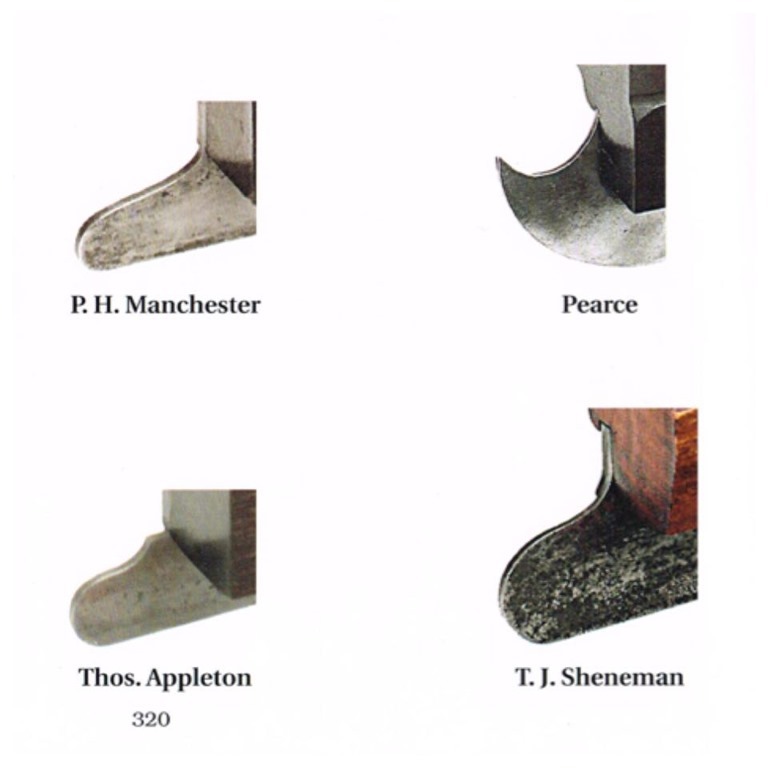 There are many different designs to behold. And many more not shown. All the photos below of Plow Planes with extended or Long Plates are in my personal collection. Mostly of Plows from the UK. They are truly prized by me and a beauty to behold. The photos below in the white four block collages are from Don Rosebrook’s book, “WOODEN PLOW PLANES”. Those are all US makers. 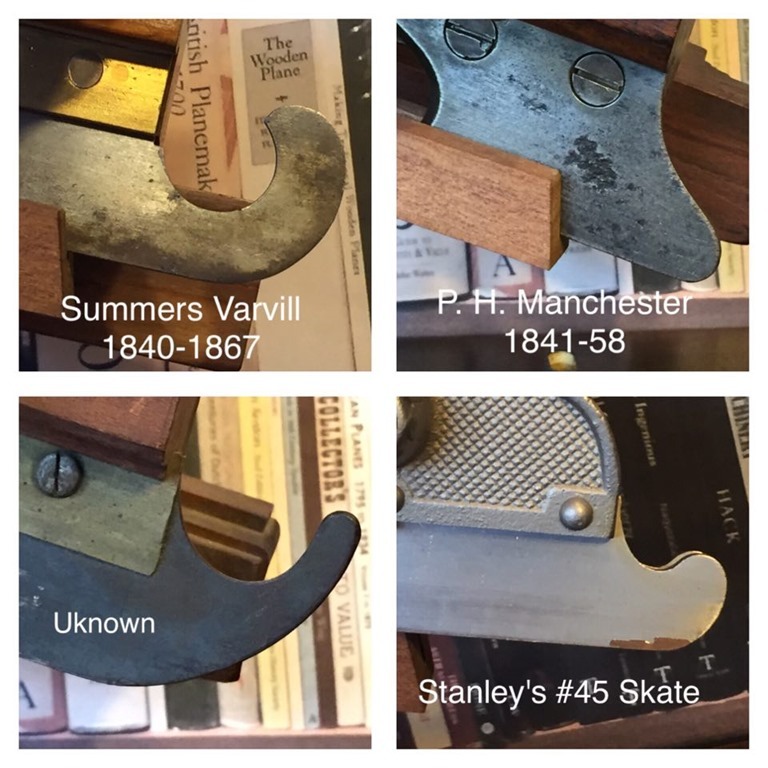 I’ll let someone else present the Skates for metal planes made by Stanley and other makers. I only have four in my collection.